THE damaged road bridge that caused the closure of Caen Hill Flight has been repaired and the navigation now open. 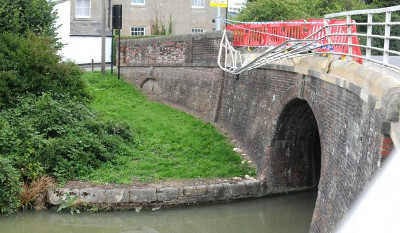 It was in the early hours of last Wednesday morning that a car took out the railings of Prison Bridge (142) above Caen Hill Flight on the Kennet & Avon Canal in Devizes, closing both the flight and the waterway, Keith Gudgin tells us. It required a crane to remove the dislodged railings and copings from the bridge, with the work completed yesterday, Wednesday. This was, of course, to allow for a safe method of working and that suitable risk assessments were in place, causing the delay, with the navigation remaining closed whilst this took place.